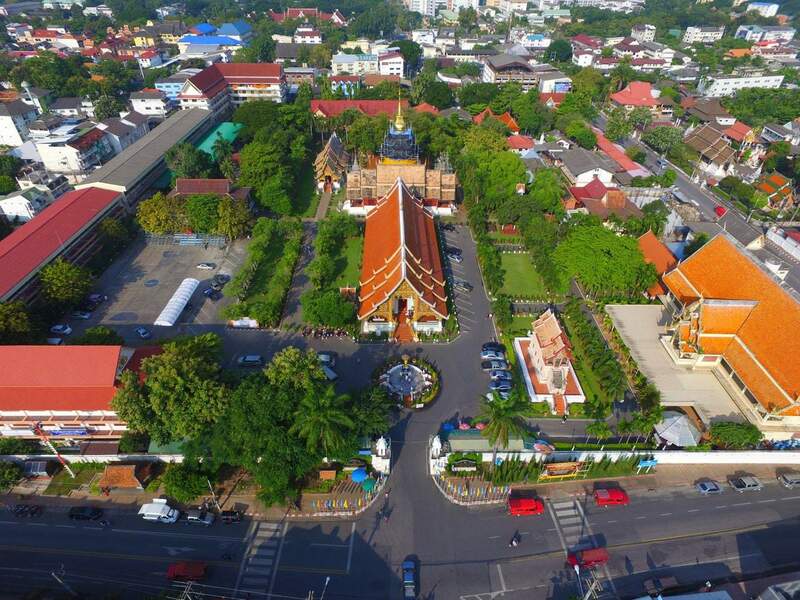 Wat Phra Singh ranks as one of the most revered temples in the northern parts of Thailand and is located in the heart of the old city in Chiang Mai. 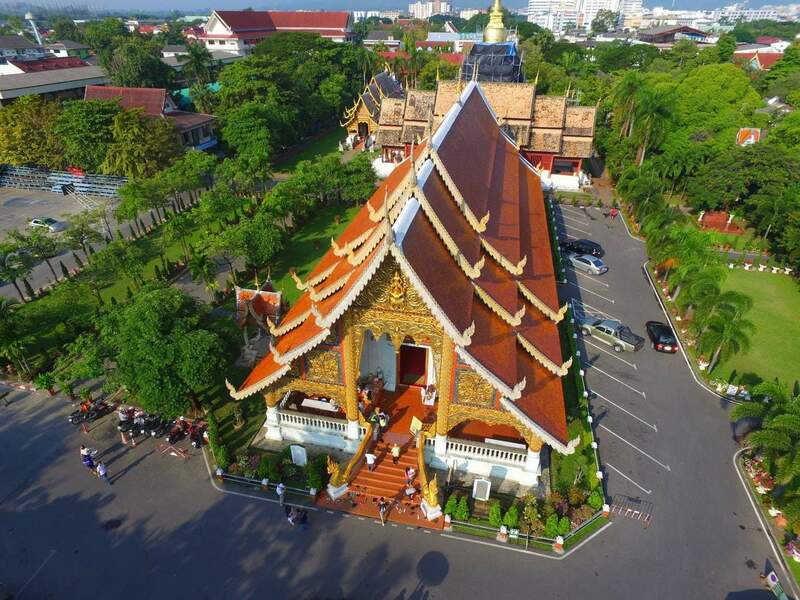 The temple was constructed in in 1345 when King Phayu had a chedi built to house the ashes of his father King Kham Fu. Wat Phra Singh is also known as the “Monastery of the Lion Buddha” or the “Temple of the Lion Buddha” and currently houses hundreds of monk who still live, work and pray here. The temple underwent some renovation in the early 19th century, but generally remains unchanged. One of the most significant parts of Wat Phra Singh is the presence of the Phra Singh, also known as the Lion Buddha. This statue is housed in the tiny chapel at the back of the temple’s compound. A walk inside the temple will lead you up to the gold-laced patterns and stunning murals. 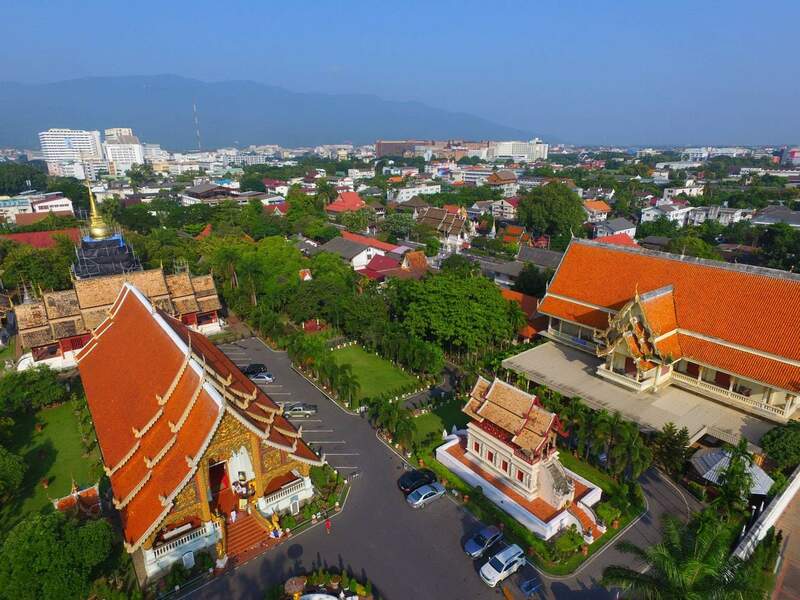 There are a number of buildings located on the compound here including the Lai Kam assembly hall, a library which houses ancient Buddhist scriptures, as well as a large reclining Buddha. There are markets located on the grounds as well where you can purchase trinkets, food and cold drinks. You will find the temple jam packed during Songkran (Thai New Year) when thousands of people come to sprinkle water over the Buddha statues in a symbolic cleansing of bad luck. As with all temples in Thailand, visitors must ensure they are dressed respectfully. This includes covering knees, shoulders and midriffs. 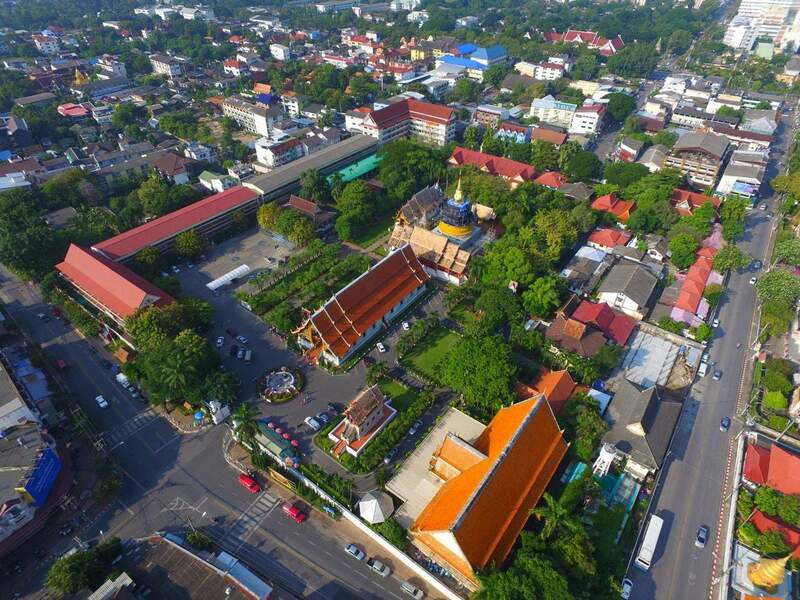 Wat Phra Singh is located right in the centre of the old city in Chiang Mai. You can walk here from any of the gates at the moat and should take less than 10 minutes. Any red truck (songthaew) can take you within the old city for no more than 20 THB per person.